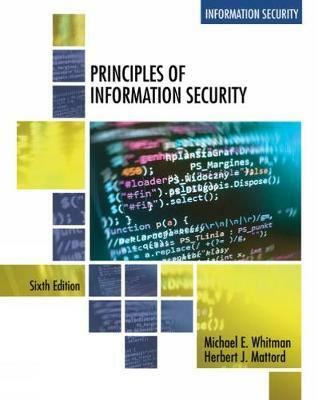 Master the latest technology and developments from the field with the book specifically oriented to the needs of information systems students like you -- PRINCIPLES OF INFORMATION SECURITY, 6E. Taking a managerial approach, this bestseller emphasizes all aspects of information security, rather than just a technical control perspective. You receive a broad overview of the entire field of information security and related elements with the detail to ensure understanding. You review terms used in the field and a history of the discipline as you learn how to manage an information security program. Current and relevant, this edition highlights the latest practices with fresh examples that explore the impact of emerging technologies, such as the Internet of Things, Cloud Computing, and DevOps. Updates address technical security controls, emerging legislative issues, digital forensics, and ethical issues in IS security, making this the ideal IS resource for business decision makers.